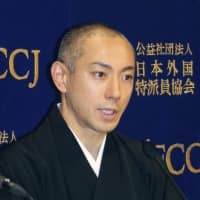 Kabuki actor Ichikawa Ebizo said Wednesday the 2020 Olympic and Paralympic Games in Tokyo will be an opportunity to promote the Japanese theater art and try and capture the hearts of international audiences. 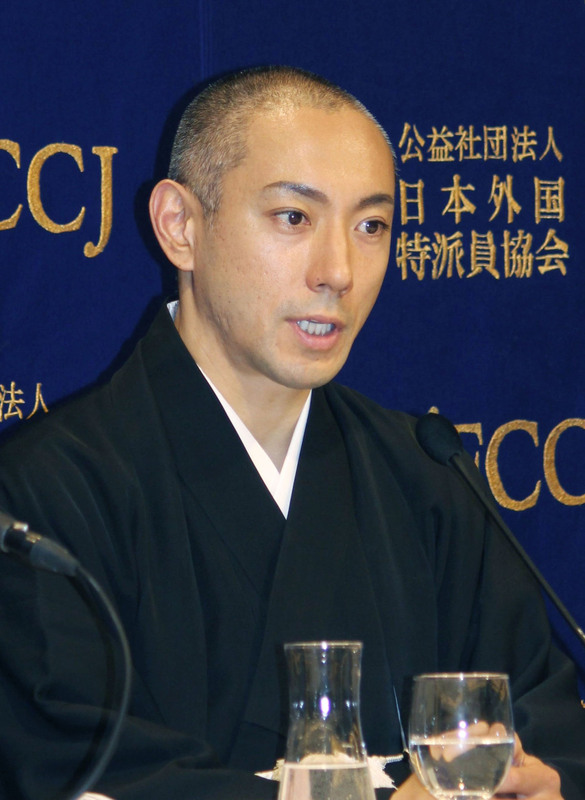 In a news conference at the Foreign Correspondents’ Club of Japan, Ebizo, the son and successor of the late Ichikawa Danjuro XII, said he is already exploring ways to maintain the Olympic legacy and keep kabuki fans from turning away after the games. “In 2020, the year of the Tokyo Olympics and Paralympics, we will see an influx of foreign visitors to Japan,” Ebizo said. The 41-year-old, who is known for sticking to a strict diet and workout regimen, says it is important to keep traditions going, but looking at just preserving the classics could be considered egotistical on the actors’ part. “We need to recognize the changes in Japanese aesthetics,” he said. He addressed the country’s aging demographics, saying some of the challenges Japan faces are also seen in the world of kabuki, which has an older fan base. There is a need to make kabuki more enjoyable for its devoted fans while at the same time playing to a younger audience.